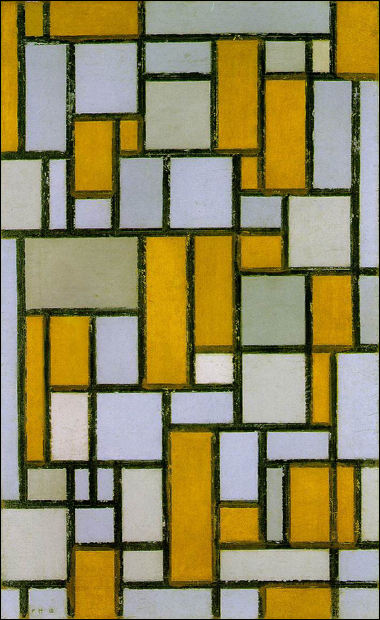 This might seem like an unusual choice for a post but I recently got a children’s book from the library entitled Coppernickel Goes Mondrian by Dutch artist Wouter van Reek and it has resonated with me. The story is about Coppernickel, the protagonist, who sets out to find the future. 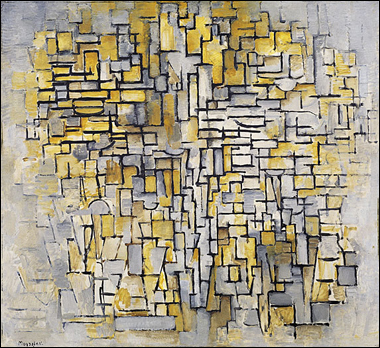 To illustrate Coppernickel’s journey, van Reek appropriates Mondrian’s paintings as the backdrop for Coopernickel’s enlightenment. 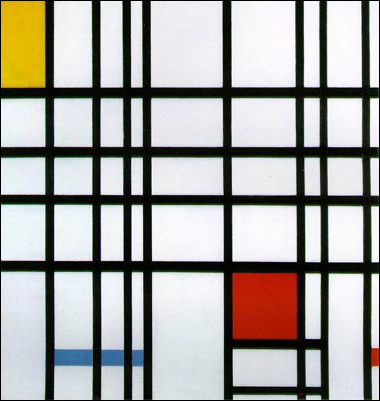 Coppernickel must literally travel through the evolution of Mondrian’s work to find the future. 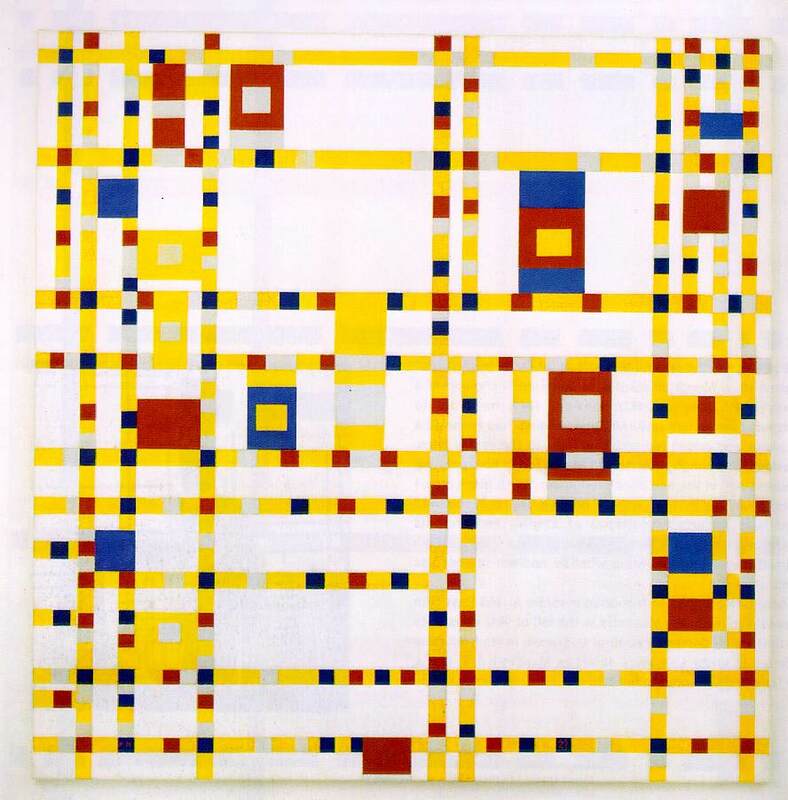 Mondrian was known for his desire for the ‘new’ and was influenced by Cubism and jazz. His paintings did not replicate jazz or try to mimic Cubism in a literal way but instead he wanted to capture the radical experimentation and ‘newness’ that these mediums brought to their discipline. 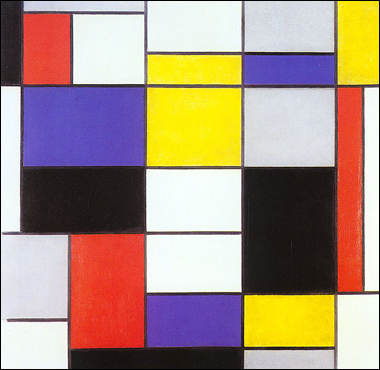 So it seems appropriate that the protagonist, who is in search for the future, meets Mr. Quickstep, an alias for Piet Mondrian. Mr Quickstep (keeping to character) is not interested in lolling around and wants to move ahead in finding the future as well. Coppernickel follows Mr. Quickstep to the city and we see the transformation of the landscape from angular trees to a urban grid like pattern. Wouter van Reek has created a narrative by mirroring the landscape with the evolution of Mondrian’s work and creating an imaginative illustration of a journey into the future. I thought the idea of moving through one life’s work to find a future is a compelling idea and the illustrations are wonderful; however, the actual narrative was not very strong and I wonder if the text lost some of the whimsy when it was translated to English. The story concludes with Coopernickel’s dog Tungsten stating that “I’ve always been ahead of my time’, which is an appropriate conclusion since Mondrian was ahead of his time and still continues to influence painting, graphic design, architecture, fashion to this day. ← But does it float? Very Interesting! 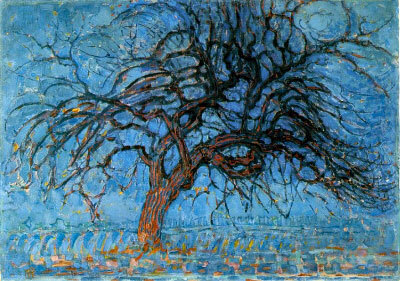 My tutor, on seeing my current project in progress involving trees and journeys, suggested I look at Mondrian’s Trees and I found your blog, isn’t life a series of synchronicities? ?